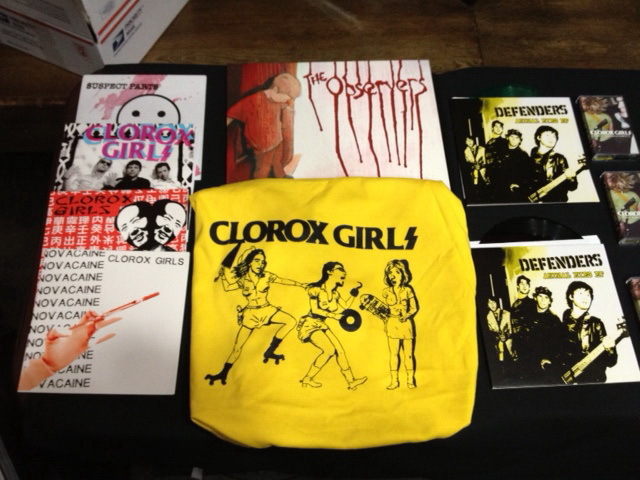 We have some Clorox Girls merch left from our NW shows if anyone is interested. Sold out of the Double Mao 7″s and maybe Novacaine too, but everything else we have a little extra of. Please send me a message if you’re interested. The super-rare Burger Records cassette, Defenders 7″ (my Dad’s L.A. punk band from 1982), Clorox Girls “Genocide/Bad Girls” 7″, super crust/pop group Suspect Parts 7″ and cool screenprinted t-shirts designed by Brazilian fashion icon Mateus Mondini are highlights for sure! For $25 we’ll send you a grabbag with a little of everything (shirt, tape, 7″). ← Back in L.A. Thank you Northwest!